Professional swimmer best known for her competitions as a member of the Australian national team. She competed in the 2008 Olympics, where she won 2 bronze medals, and in the 2012 Olympics, where she won gold. She completed her secondary schooling at Kenmore State High School in Brisbane. In 2007, she won two gold medals at the Australian Youth Olympic Festival. She was a member of the 4x100 relay team that won a gold medal for Australia at the 2012 Olympics. At the 2013 Australian Swimming Championships, she won gold in both the 50 and 100 meter freestyle events. She was born in Malawi. In 2001, her family moved to Australia, when she took up competitive swimming. 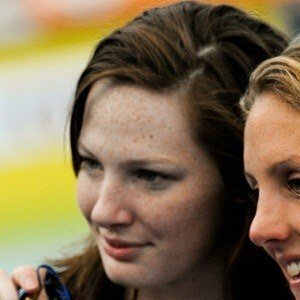 Her sister, Bronte, is also a professional swimmer. She has a brother named Hamish. She won the 2013 100 meter freestyle event at the World Aquatics Championships over the defending Olympic champion, Ranomi Kromowidjojo.